AXIVA Filter Paper range for production includes filter papers made from pure Cotton Linters in thick sheets ranging from 90 gsm to 140 gsm suitable for clarification of Sugar Syrup, Honey large volume parenteral, small volume parenteral, Bulk drug. Wine Beer, Refinery Oil and lot of other applications where crystal clear filtrate is desired. 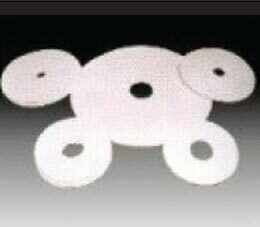 Available in different sizes of sheets and circle with/without centre holes to fit in different Filter Presses and Sparkler Filters. Highly successful for carbon filtration through high flow bed. Axiva - filter paper for electroplating industries, Economical, 60gsm filter paper with high strength, With center hole ideal for electroplating. 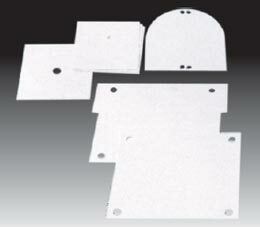 Axiva Filter pads, Light weight, Thickness 2.0mm(approx), filtration rating 1.0 micron (nominal). Ideal for filtering viscose fluids, syrups, fermented liquors, soap solutions, detergents, molten waxes, metallic salt solutions, photographic chemicals, catalysts, emulsions, varnishes, lacquers, fuel, oils etc. 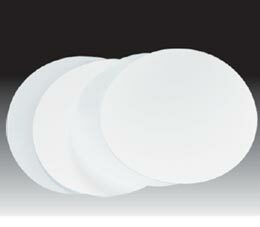 Axiva Filter pads, Thick, Thickness 3.0mm(approx), filtration rating 0.2 micron (nominal). Ideal for filtering light vegetable oils, widely used for activated carbon clarification. AXIVA Filter Holders are made of S.S. 316 (or S.S. 304 on request). Its unique inbuilt support base for membrance provides maximum possible filtration flow rate and also acts as better inbuilt under drain system. Leak proof filtration can be attained by simply hand tightening the clamping screws. Membrane as an accessory to the main system. Sterilizing filtration of large volumes of fluids. Ultra cleaning photo resists, DI water, serums, solvents, chemicals etc. Sterilizing large volume of gases. Sterilizing tissue culture media, blood plasma fraction etc. 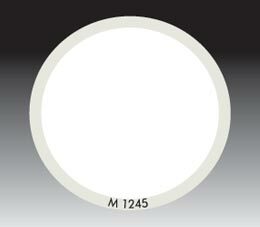 Material : S.S. 316 (or S.S. 304 on request) silicon O'rings, S.S. Stand (P.P., Viton O'rings for hazardous acid filtration.) Operating pressure : 125 psi max. Connections : S.S. Connector suitable for 10 mm pressure tube.Pressure release : Yes, release valve provided on top glass. This guide provides a basic understanding about Axiva qualitative filter paper - 180 GSM. Axiva qualitative filter paper - 180 GSM is 100% pure fibres with a textured surface. This document can be used as a guide for your manufacturing and quality control processes. Also Included are overviews of the basic methods that have been employed to qualify these products, and summaries of the results of those qualifications. The production processes of qualitative filter paper - 180 GSM have been manufactured and accredited with a registered body to an ISO 9001: 2008 quality system standards governed by Axiva sichem biotech. Axiva Qualitative Filter Paper - 180 GSM is widely used filter paper for routine applications in Process Filtration and Filter Press. • Specially used for solid/liquid separation provided by a slurry pump. • Also used in dewatering of mineral mining slurries to blood plasma purification. • Widely established for ultrafine coal dewatering as well as filtrate recovery in coal preparation plants. 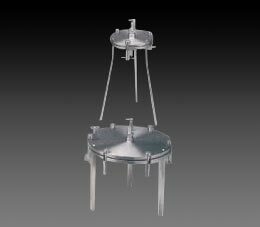 • Typically used for Sugar Syrup filtration in pharamceutical production.